Shot today, just north of Main Beach, in the Heisler Park Marine Reserve. Plastic bags and bottles. Bottle caps, forks, wrappers and packaging. Plastic lids of to-go cups. We throw away tons and tons of them. This CNN report shows the unaccounted for cost of plastic production, which is still going at full steam, despite free plastic bag bans in places like Los Angeles, San Francisco, San Jose, Mumbai, Italy and…that’s right…China. Its funny it took us this long to figure out how to bring our own bags to the grocery store. What about that cup of joe this morning? Bring your own mug? If you thought the North Pacific Gyre was an anomaly, unfortunately it’s not. 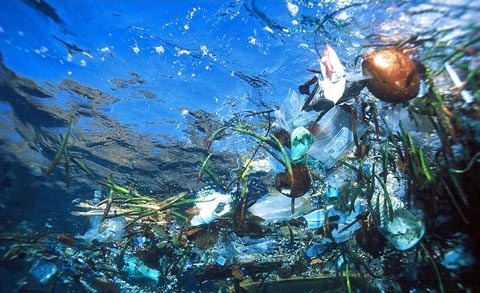 High concentrations of plastic have been documented in all five major gyres: North and South Pacific, North and South Atlantic, and Indian Ocean. 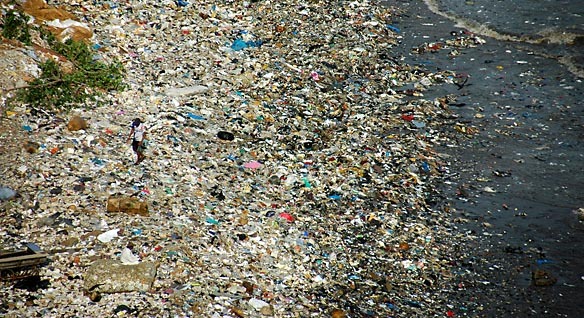 Plastic is out there, slowly swirling into floating dumps thousands of miles across. (Here’s what it does to sea birds.) And we are the source of it. 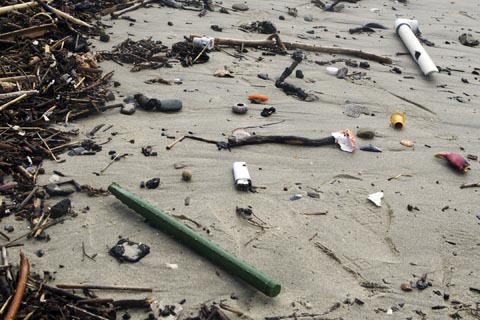 I know Laguna Beach is not responsible for the trash that has been washed down from up stream – our beaches would be a lot cleaner if it wasn’t for the recent flood. But we’re up stream from someone else. And it’s not a stream, it’s a cycle. The flood has shown us what other parts of that cycle, beyond our sight, look like. Kudos to Zero Trash Laguna. How cool would it be if organizations like that were obsolete?